You still have time to book a group visit to Tilford Cottage Garden. A group of 6 or more is needed and we can provide you with some refreshments during your visit. Tilford Cottage Garden is listed in the NGS yellow book and has been for 13 years now. Hope to see you soon. 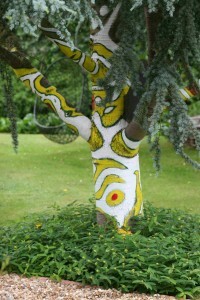 Painted tree. Tilford cottage Garden.